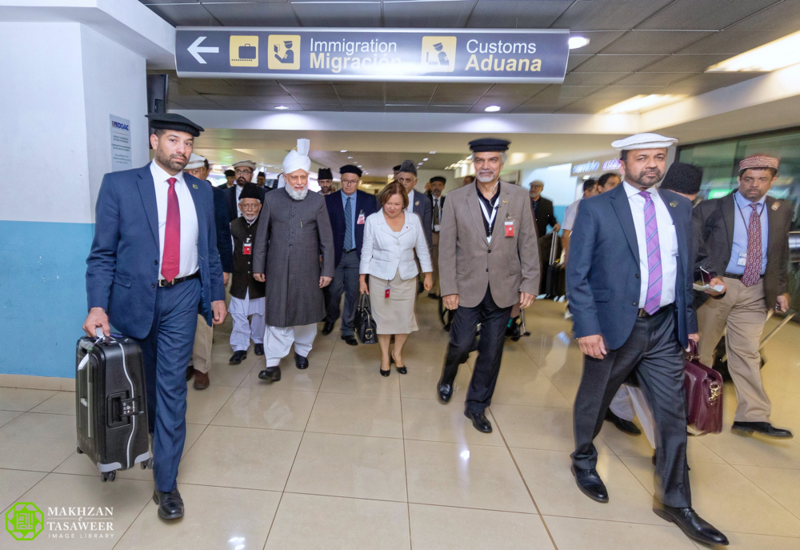 On 22 October 2018, at 12.10pm local time, the World Head of the Ahmadiyya Muslim Community, the Fifth Khalifa (Caliph), His Holiness, Hazrat Mirza Masroor Ahmad arrived in Guatemala for his first ever visit to Central America. His Holiness has travelled specially to inaugurate the Nasir Hospital, a large-scale humanitarian project of Humanity First, an international charity established by the Ahmadiyya Muslim Community. After landing in Guatemala City after a flight from Houston, Texas, His Holiness was greeted at the airport by Guatemala’s National Congresswoman Iliana Calles. During a meeting with His Holiness, the Congresswoman offered her deep appreciation to the Ahmadiyya Muslim Community regarding the Nasir Hospital project. She said that it was very much needed and would be a means to serve humanity and the underprivileged in particular. At exactly 1.10pm, His Holiness stepped out of the airport and took his first steps in Central America before travelling by road to the city of Antigua. With those historic steps, another chapter in the great history of the Ahmadiyya Muslim Community was opened. For the first time, His Holiness was able to physically travel to meet members of the Ahmadiyya Muslim Community in Central America and to directly deliver Islam’s true teachings of peace, justice and humanity. 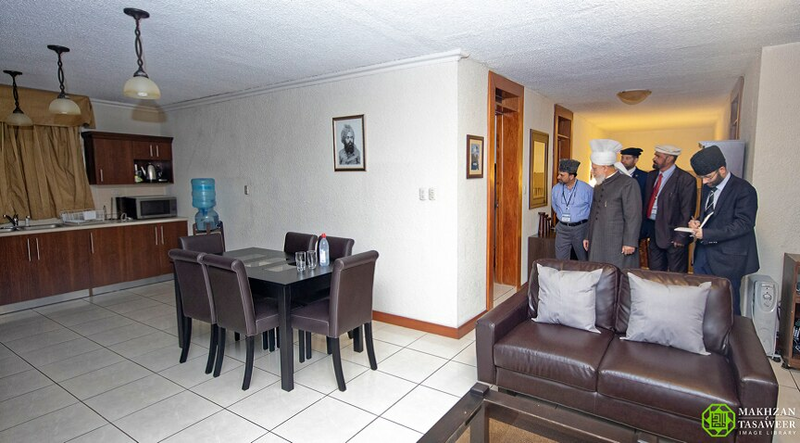 Later in the day, His Holiness visited the Baitul Awwal Mosque in Guatemala, which had been inaugurated by his predecessor, the Fourth Caliph of the Ahmadiyya Muslim Community, Hazrat Mirza Tahir Ahmad in 1989. 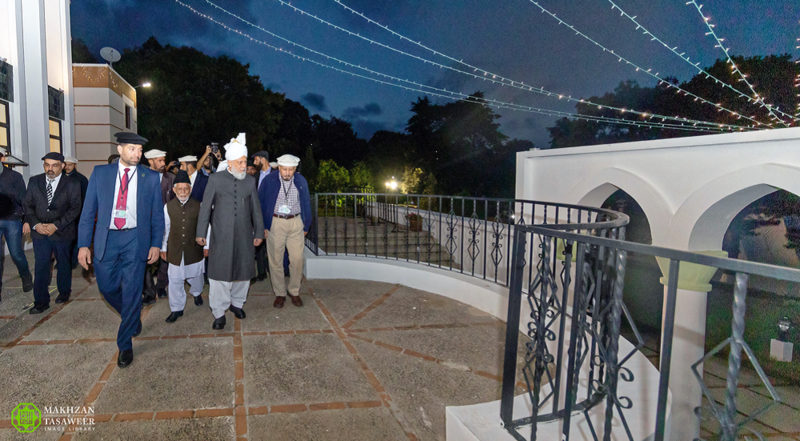 His Holiness inspected the Mosque before meeting hundreds of Ahmadi Muslims hailing from various Central and Southern American countries, including Guatemala, Belize, Paraguay and others. 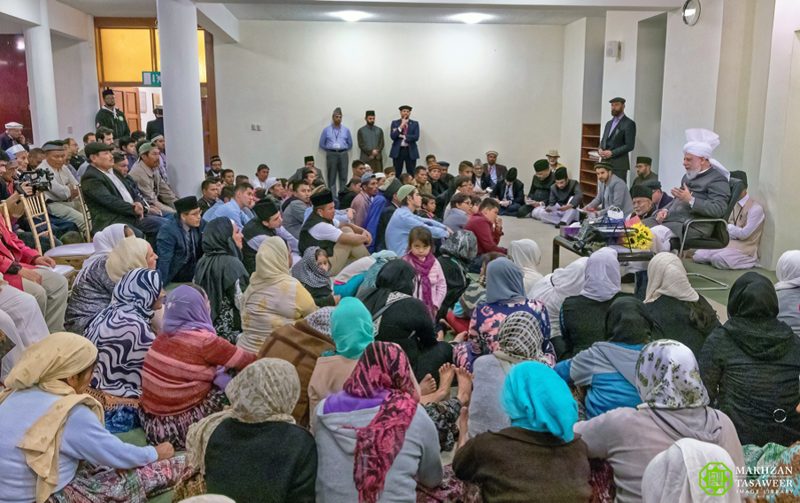 The meetings were extremely emotional, as various Ahmadi Muslims expressed their joy that they finally had the chance to meet their spiritual leader and to host him. They had the chance to ask His Holiness various questions during the moving and faith inspiring session. 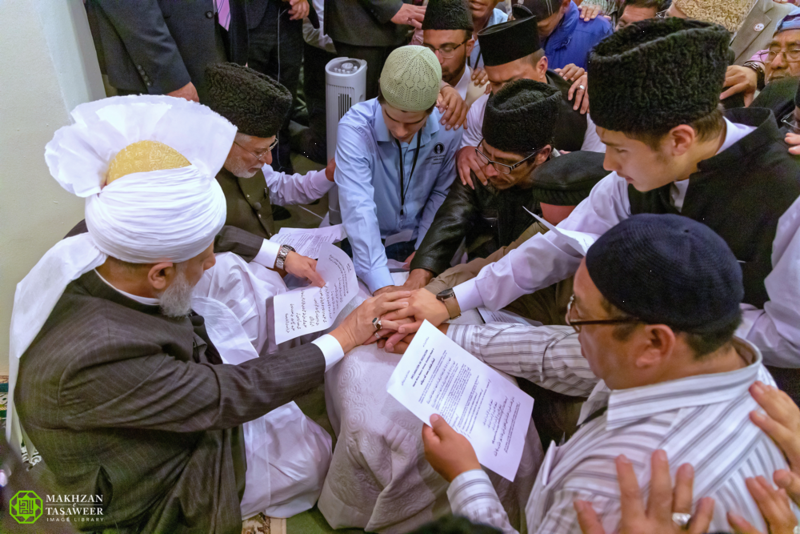 Later, after leading the Maghreb and Isha prayers at the Mosque, His Holiness took the oath of allegiance (Bai’at ceremony), in which hundreds of Ahmadi Muslims were able to take the Bai’at at the hand of His Holiness for the first time. During the ceremony, many converts to Islam were unable to control their tears. His Holiness is now due to inaugurate the Nasir Hospital later today. Ahmadi Muslims have travelled from various countries to join in the historic event.